The entirely Hungarian-owned JP Auto sells Suzuki models from 2013. 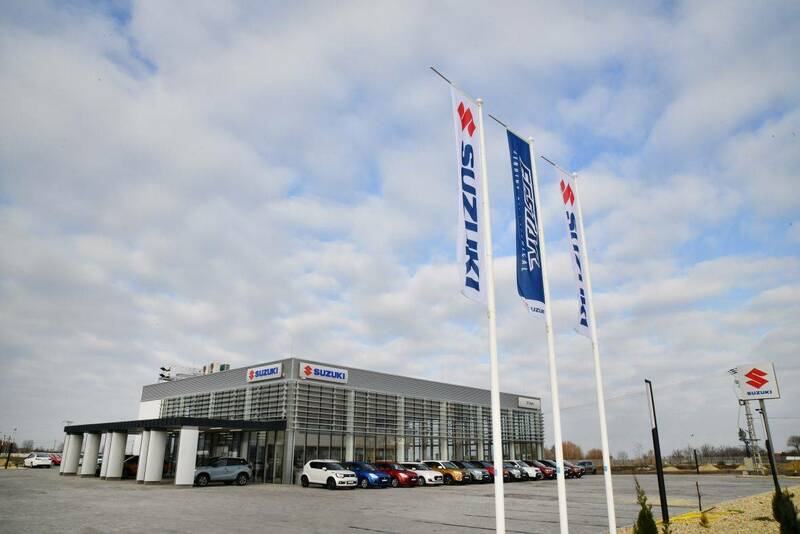 Due to the promising sales data of the last five years and after taking the already customer-centric services to the next level, Jász-Plasztik Autócentrum Ltd., which is present in Budapest, Eger, Nyíregyháza and Veszprém, decided to continue their sales activity in the Suzuki dealership in Jászberény. „In order the represent Suzuki models worthy of the brand’s high standards face-lifting the Jászberény showroom was needed. Additionally, we believe it is important that our highly trained professionals welcome our prospective partners with a wide range of models, constant test drive opportunity and personalized offers. To our existing customers we provide opportunity for regular, professional maintenance.” – said Róbert Kovács, managing director of Jász-Plasztik Autócentrum Ltd. adding that in the new Suzuki showroom a huge stock is waiting to be received before Christmas by customers. At the official opening event, the ribbon was cut by Róbert Kovács, Tamás Szabó Dr., mayor of Jászberény, János Pócs, parliament representative, Jun Mitsubori and Róbert Krisztián, Operating Directors, and Péter Tóth, Sales Director of Magyar Suzuki Corporation. 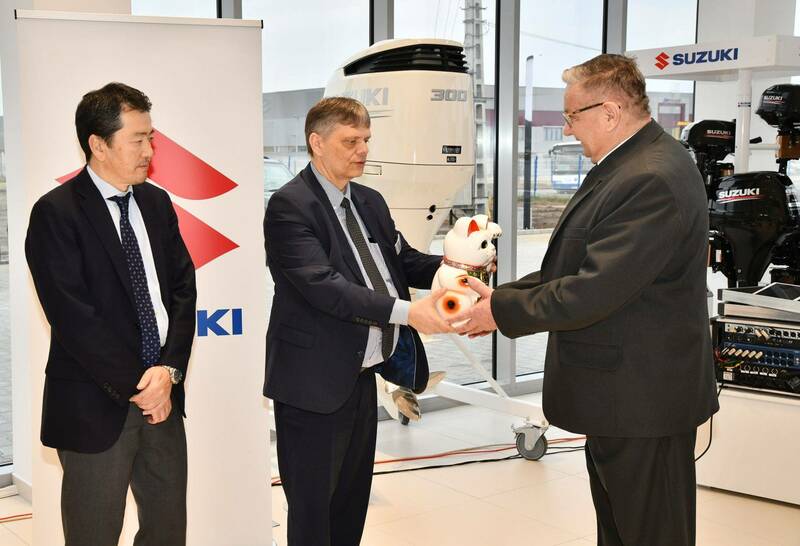 After this, Péter Tóth presented Suzuki’s traditional Japanese lucky cat porcelain figurine to Lajos Kasza, founder and owner of Jász-Plasztik Ltd. According to Japanese tradition, the cat raises its left paw to invite guests and bring good luck, wealth and health to the house. „There is no better way to celebrate this year than opening the exemplary JP Auto Suzuki dealership. We do take a lot of pride in it, as the nearly half a billion forints investment reflects our partner’s satisfaction in our past cooperation and trust in the future of the brand in Hungary. They have every reason to be hopeful, as Suzuki dominates local market leaving competitors well behind. 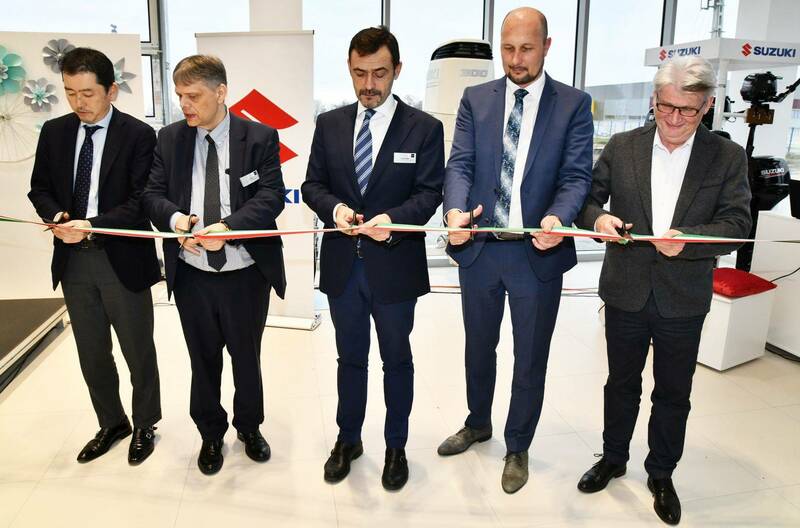 According to the sales data of the last 10 months, we increased our market share to 14.18 by 16 387 sold vehicles, of which 9 674 were Vitaras.” – highlighted Róbert Krisztián, Operating Director of Magyar Suzuki Corp, at the opening ceremony of the newest member of the 78-dealership network, adding that the JP success is considered as a Suzuki success, too. 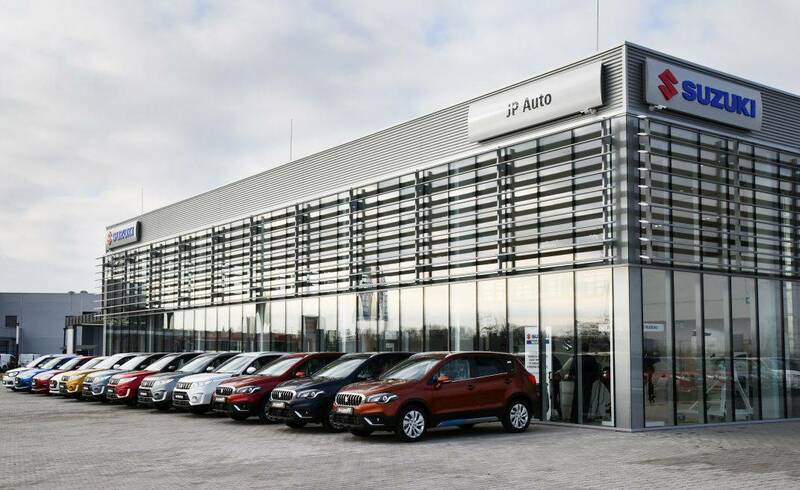 Similarly to JP’s dealership in Eger, Jászberény dealership also offers full model range of the brand and a wide array of maintenance services and amenities, as well as car diagnostics to existing and prospective customers, too. It is also planned that in the future besides the cars, the dealership will also offer various outboards and motorcycles of Suzuki. For more information please visit the website of the dealership.